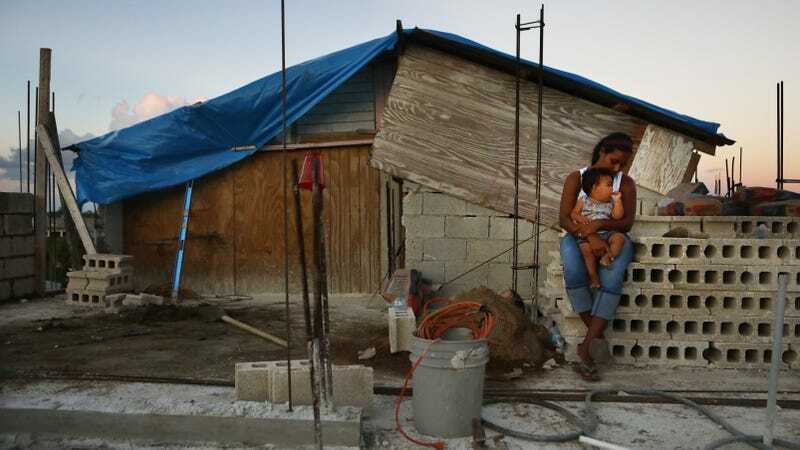 It’s been eight months since Puerto Rico was first devastated by Hurricane Maria in September 2017, and the situation has yet to improve—leaving in its waste toxic, unlivable conditions for much of the U.S. territory. Women are especially vulnerable. According to a new article from Centro de Periodismo Investigativo, domestic violence and sexual assault organizations in Puerto Rico have reported an increase in violence against women since the storm, but a combination of the island’s infrastructure breakdown and unreliable statistics from official sources (including the police) makes it impossible to quantify. As the World Health Organization makes clear in its report of violence and disasters, sexual violence tends to increase following natural disasters for a variety of reasons: increased stress and feelings of powerlessness due to bereavement, loss of property and loss of livelihood, mental health problems such as post-traumatic stress disorder, the scarcity of basic provisions, destruction of social networks, breakdown of law enforcement, cessation of violence prevention and other social support programs, and disruptions to the economy—all of which has plagued Puerto Rico. The reason these numbers are unreliable is most likely that they’re compiled by three, unintegrated entities: the Women’s Advocate Office, the Police Bureau and the administrative courts. That, and the damages caused by Hurricane Maria—i.e., no access to the internet or phones—ceased victims’ ability to contact authorities or help. This, of course, doesn’t include those who didn’t own phones in the first place; those who don’t have the ability to travel to shelters; or those who have the privilege of mobility, only to learn their nearest shelters have been shuttered due to hurricane damage. It gets worse: the Puerto Rican Police Bureau, too, has a longstanding failing to report cases of violence against women—in 2011, the United States Department of Justice found that the agency was underreporting sexual assault, that, partnered with Puerto Rico’s standing as having one of the highest rates of violence against women in the world, a number that is only increasing, makes for an intensification of the issue. Violence against women is clearly not a priority. Read the full report from Centro de Periodismo Investigativo here.